Ada pertanyaan untuk Kuretakean Hotel? Terletak di Kyoto Selatan yang menyenangkan, Kuretakean Hotel memiliki posisi yang sangat bagus di pusat melihat-lihat, kebudayaan di Kyoto. Dari sini, para tamu dapat menikmati akses mudah ke semua hal yang dimiliki oleh kota yang aktif ini. Yang tidak ketinggalan adalah akses mudah dari properti ini ke sejumlah obyek wisata dan landmark kota ini seperti Kuil Benzaiten Chokeiji, Museum Gekkeikan Sake Okura, Museum Teradaya. Kuretakean Hotel berkomitmen untuk memastikan kenyamanan selama Anda menginap dengan menawarkan pelayanan superior dan sejumlah fasilitas kepada para tamu. Ada beberapa fasilitas properti ini seperti kamar untuk keluarga, restoran, layanan binatu (laundry), concierge, bar. Properti ini memiliki 3 kamar yang didesain dengan cantik. Banyak kamarnya dilengkapi dengan cermin, handuk, kamar bebas asap rokok, AC, meja tulis. Sepanjang hari Anda dapat menikmati suasana menenangkan dari taman. Kuretakean Hotel adalah tempat menginap ideal bagi para wisatawan yang mencari pesona dan kenyamanan dari kota Kyoto. Usia minimum tamu: 7 tahun. - Resepsionis akan tutup pukul 23:00. - Setelah 23:00, semua pintu akan ditutup dan tamu tidak bisa keluar atau masuk. Untuk mempersiapkan kenyamanan Anda selama menginap, mohon mengirimkan informasi berikut pada pihak hotel. Usia minimal yang diwajibkan untuk dapat menginap di properti ini adalah 7 tahun. Check-in tidak dapat dilakukan setelah pukul 22:30, sehingga tamu yang tiba di Bandara Kansai setelah pukul 20:00 pada hari yang sama dengan pesanan tidak dapat diterima. Properti ini dapat menyimpan barang Anda di area resepsionis sebelum check-in saja. Silahkan menghubungi properti sebelum kedatangan Anda apabila Anda ingin menggunakan layanan ini. Tamu tambahan yang tidak tercantum dalam pesanan awal tidak diperbolehkan untuk ikut menginap. Dinding kedap suara tidak ditawarkan di properti ini. The owners are so helpful and lovely, it's clean and comfortable and the private onsen is amazing! I spent 3 nights at the Kuretakean Ryokan and I wish I could have stayed longer! The owners were welcoming, eager to make my stay the best possible and surprised me each day with either some small treat or a short lesson about traditional Japanese culture and language. Each evening after I came home they had prepared the Onsen for me which I had all to myself. The room was spacious, clean and very comfortable. The location is off the city center but very well connected as it is close to two train stations serving the main city lines. It's worth every penny! For a full experience of Japanese wooden house, this Is a great option. The onsen (hot bath) is built by Adachi-san himself and i always look forward to be able to end each travelling day in the lovely facility. The room and futon were also perfect, very comfortable to sleep in. Location wise, perfect to explore Chujoshima area which I love. Also good location to reach Fushimi, Uji. This location is well served by both Keihan and JR trains. We had an amazing time at Kuretake-an. It is a little out of the main tourist district (~20 minute train ride from Kyoto Station), but in a very scenic neighborhood with lots of great restaurants. We felt immediately welcomed. In fact it was a much more personal relationship with the staff than any other hotel I've staid in; almost like a home stay. We were invited to sample several locally brewed sakes, had an impromptu tea ceremony lesson, and visited the osen every night. The osen was amazing and smelled wonderful because it is built entirely out of cedar. It was a great base for exploring Kyoto and we would go back again in a heart beat. Adachi-san and Kumiko-san were amazing in their hospitality and suggested many good places to watch cherry blossoms and experience Kyoto. Will definitely stay with them again next time I return to Kyoto. If you want a truely japanese experience this is the place! Adachi was a great host and was extremely helpful with any questions. He even recommend nearby temples to visit. Not to mention the wooden bath with natural ground water which was amazing. Warm, authentic hospitality. Cheerful and kind hosts. Clean accommodations with everything you need and nothing you don't. Short walk to subway, bus lines and taxis. The wooden bath is a must! Can't wait to return! We only stayed here for 3 nights, and after we left, I kept wishing we could've spent more time here. The baths were very relaxing for us and really helped with my allergies I had the entire trip! The owners provided very helpful information and recommendations on where we should tour, along with some lessons on Japanese traditions and the Japanese language. Overall, a very relaxing and quiet place! We had a whirlwind trip, only stayed one night, and did not take full advantage of Adachi's hospitality, but it was a wonderful experience and we hope to come back and stay again. Adachi and his wife are most kind and genuine. We stayed one night in this traditional ryokan house and it was wonderful ! The ryokan is very easy to find and to access because of the bus stop just next to it. The owners, M. Adachi and his wife are extremely nice and helpful. We wanted to visit the neighborhood and he lend us his 2 bikes. The river next to the house is absolutely charming and typical. And when we came back, they prepared us a hot bath with the groundwater of the house. The bath room is super beautiful and all made of wood. We also reserved a diner and we had a very delicious and delicate kaiseki (traditional diner), prepared with all ingredients of the neighborhood. 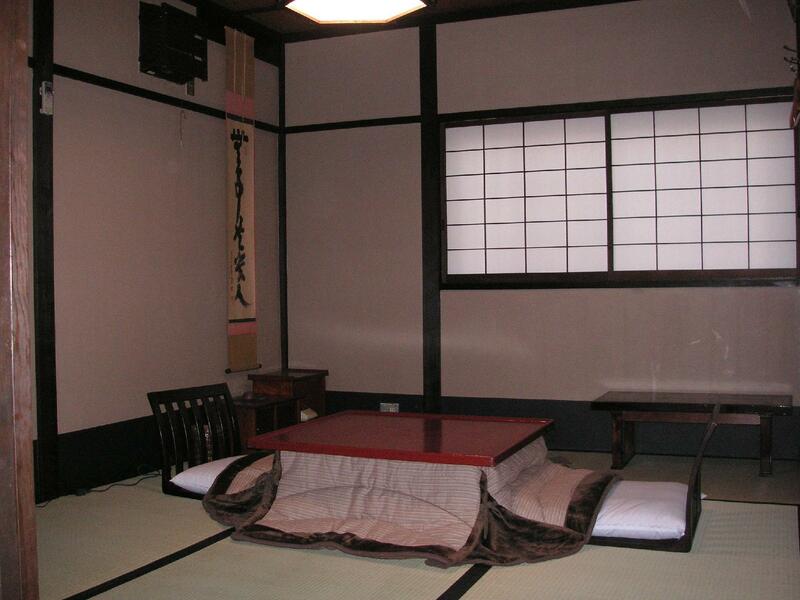 If you want to have a taste of a typical and beautiful ryokan in a quiet place, you have to go there ! Thanks again to the owners for those wonderful and peaceful moments. Truly hospitable hosts, combined with an authentically traditional Japanese home, made this a very special trip. I would strongly recommend Kuretakean Hotel to anyone interested in a traditional experience. Make sure you try the Japanese bath available there. We loved the Kuretakean. It is nestled in the South of the city roughly 20 minutes from the city centre. It is a little tricky to get to but totally worth it. The hosts were extremely friendly and kind and were able to meet our every need. The rooms are spacious, comfortable and very traditional. The highlight are the traditional Japanese baths which were built by the owner. A great way to relax after a days sightseeing. Some great little bars and restaurants in the area you just need to be brave enough to walk through those doors, it's always an adventure! We loved this place and would absolutely recommend going again. We throroughly enjoyed our 5 nights at Kuretake-an Hotel. Although it is not located in the center of Kyoto, it is located only 3 minutes from the train station and it was a quick 15 ride into the center of Kyoto. Our hosts were lovely and very helpful. The hot bath (onsen) was especially welcoming after long days of sightseeing amd the futon bed on the tatami mat was quite comfortable. What an amazing experience! The hosts are friendly and genuine and fully focused on you having the best and most authentic Japanese experience. The room was tranquil and one of the best night's sleep I've had. Located away the tourist strip of gion, the local village feel made the experience even better with lovely restaurants, coffee shops and shops in the surrounding streets. This was a highlight of my trip to Japan. If you go, absolutely take a traditional bath - it's relaxing and lovely! This is the best hotel in my trip in Kyoto, I was living in The Westin Miyako Kyoto before move into here as i want to experience some local and tradional place where here could give me this feeling. the japanese bath room everyone live here MUST try, host told me he build it himself i was just shocked! One thing to notice is a bit noisy outside at midnight maybe it was Saturday and being festival. Great team , beautiful accomodation & awesome cuisine! Great experience staying in a traditional wooden house, in a traditional Japanese room with futon & love the Japanese bath. The team (Adachi san and Kumiko san) are lovely hosts, forever helpful. The dinner (to be reserved, please check beforehand) is my most adored memory of this trip in Kyoto! Location- 1min walk to Keihan line station. Beautiful Fushimi neighbourhood away from the downtown. Lovely nature and streets. 20-30min jouney to downtown, 10-15 min to Fushimi Inari / Uji, 15min walk to Otesuji shopping arcade (which is non touristy and has great local foods!) In Kyoto, most restaurants in Gion etc closes at 8pm or so, attractions like temples closes by then -- locking @11pm poses no issue at all. The place is small and quiet. The owners are super nice and try really hard to make you feel welcome. It's a little outside the centre of Kyoto but the location helps if you want day trips to Nara or Osaka. It's a few minutes walk from the nearest train station. Wifi was very good. The traditional bath was great. There are lots of restaurants nearby and a couple of convenience shops. Overall, it's a charming place with charming owners and an excellent place to relax! A very good experience that you can stay away from the touristy places but yet still close to the train station. With only 20 mins you can be back to the busy area of the city. It's nice that after a day spending in the downtown, we can go back to some quiet area like going home. It is really Japanese style ; bedroom, bathroom. They treated us very good like a member of family. It is very good location, Very closed to subway. :) Excellelent choice if you choose Kuretakean Hotel for your accommodation in Kyoto. The room was very clean and comfotable, the statff very helpful and kind and the location was quite conveniente. My stay was unfortunately short, but this house/hotel is a really nice point to explore Kyoto. Only little problem was the curfew at 11pm, which I believe can be a problem if you want to experience Kyoto at night, but I certainly can recommend the place to anybody who wants to visit a real minshoku /house/hotel).